Title: 'Le Royaume de Pologne divise en ses Duches et Provinces et subdivise en Palatinats'. From Atlas Universel. 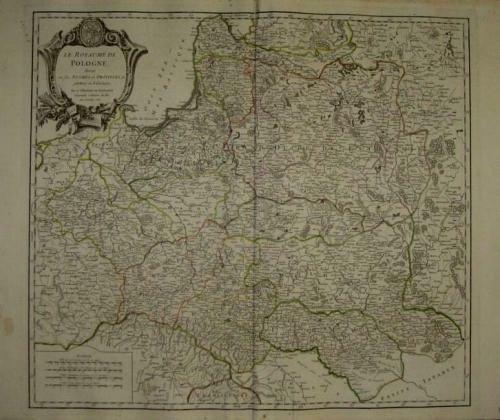 A large and detailed map of Poland and Lithuania. In very good condition with some light marginal toning.